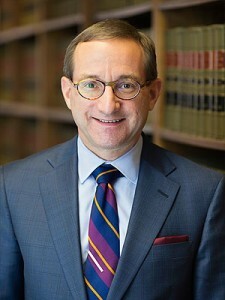 Steven C. Opheim is one of the most experienced bankruptcy lawyers in the Twin Cities with over 27 years of helping clients across Minnesota and Wisconsin with consumer and business bankruptcy as well as commercial litigation. His highest priority is to serve his clients’ interests. To learn more about the process of filing for bankruptcy, contact Dudley and Smith, P.A. today at 651-291-1717. Debt can be overwhelming. It can cause you physical and emotional stress and impact all aspects of your life, from your career to your family situation. If you are struggling with overwhelming debt and looking for a way to stop the creditors, speaking to a specialist Minnesota bankruptcy attorney can help you put the pieces back together and determine your best plan of action. We are a debt relief agency and the bankruptcy attorneys at Dudley and Smith, P.A. provide legal counseling to individuals and businesses in all stages of bankruptcy. We have represented individuals and businesses who have filed bankruptcy for over 27 years and have successfully handled thousands of cases. Bankruptcy, in general, alleviates you of certain debts. These debts may include credit card bills, utility expenses, and medical expenses. Once you file for bankruptcy, your creditors and debt collectors must stop taking action to collect a debt. Mortgage foreclosure, wage garnishment, and repossession actions may also be stopped by filing bankruptcy. Although there have been changes to the bankruptcy laws over the years, bankruptcy remains a powerful remedy against your creditors. Bankruptcy can be a way for you to get a fresh start, to save your home, and to prevent your wages from being garnished or your property repossessed. It can make a positive difference in your life. In a Chapter 7 bankruptcy, you are generally discharged from, or relieved of, the obligation to pay your unsecured debts, such as credit car debts, bank loans, medical bills, utility bills, and business debts. Exceptions to the debts that are discharged are student loans, child support, most income taxes, as well as your home mortgage and car loans if you want to keep those items. A trustee is appointed to administer a Chapter 7 case. The bankruptcy law allows an individual to retain certain property and assets as exempt from the claims of creditors, and most people get to keep what they own after filing bankruptcy. Before filing bankruptcy, an individual is required to do a budget and credit counseling course, which may be done in person, by telephone, or online. Approximately 30 days after a case is filed, there is a “meeting of creditors” with the bankruptcy trustee. A second credit counseling or debtor education session is required, and the order discharging the debtor is typically entered approximately 90 days after the case is filed. Contact the law firm of Dudley and Smith, P.A. to find out how a Chapter 7 bankruptcy would work for your situation. Chapter 13 bankruptcy is desired for individuals with regular income who desire to pay their debts but are currently unable to do so. A repayment plan lasting three to five years is carried out under supervision of the bankruptcy court, with the payments based on your finances. The plan is generally approved within 60 to 90 days after your case is filed. At the end of your plan, your debts are discharged, even if they have only been partially paid, except your mortgage, student loans, child support, and a few other exceptions. As in a Chapter 7 case, filing a Chapter 13 bankruptcy case stops all collection actions of the creditors. Chapter 13 bankruptcy should be considered if you are behind on your mortgage or car loan payments or other debts, and you want time to catch up. Chapter 13 bankruptcy should also be considered if you would lose certain assets in a Chapter 7 bankruptcy and you can make payments to your creditors over time. There is usually flexibility in your Chapter 13 plan payments and if your financial circumstances change, the amount of your plan payments may be changed. A recent development in Chapter 13 bankruptcy is the opportunity to “strip” off certain second mortgages on homes. Contact the law firm of Dudley and Smith, P.A. to find out how a Chapter 13 bankruptcy would work for your situation. Chapter 11 bankruptcy is frequently referred to as a “reorganization” bankruptcy and is available to individuals and businesses to reorganize their business or finances to repay their creditors. It is a more involved and expensive form of bankruptcy, with greater court supervision, in which creditors may take a more active role in the case. In a Chapter 11 bankruptcy, a plan of repayment or plan of reorganization is filed with the bankruptcy court and proposed to the creditors and the bankruptcy court for approval. There are a number of factors that are considered to approve a Chapter 11 plan, including whether the plan is in the best interests of the creditors and whether the plan is feasible. As in other forms of bankruptcy, a Chapter 11 bankruptcy involves the automatic stay and stops collection actions of the creditors, such as repossession and foreclosures, evictions, and other lawsuits. Chapter 11 bankruptcy allows an individual or business to repay the creditors over an extended period of time or to propose the infusion of new capital to pay creditors in full or in part in satisfaction of their claims. After the bankruptcy filing, the owners and management of a business may continue to own and manage the business through the Chapter 11 bankruptcy. To learn more about Chapter 11 bankruptcy and how it would work for you, please contact the law firm of Dudley and Smith, P.A. Bankruptcy is not for everyone, and it is important that you understand your other options as well. You may be better off consolidating your debts or taking out a loan to help with your debts. You may be better off relying on family members for assistance and restructuring your spending habits to help clear those unpaid bills. When you meet with our Minnesota bankruptcy lawyers, we will help outline your options and determine whether bankruptcy is right for you. Dudley and Smith, P.A. also has debt collection attorneys who can aid in reducing and settling your debts that led you to consider filing for bankruptcy. There are a number of questions surrounding bankruptcy. Will you lose your home and your car? Will your credit be affected? Will you be able to get a loan again? Will your personal finances be impacted by business bankruptcy? Can you keep some assets? The answers to these questions depend on your individual situation. Speaking to an attorney can give you a better idea of what to expect. We help people file for relief under the Bankruptcy Code.